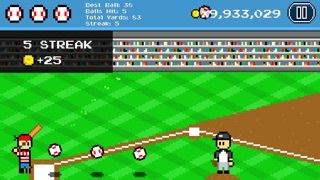 Keep baseball season going all year long with 8-Bit Baseball! -Enjoy beautiful, 1980’s style pixel art! -Get addicted to the simple one finger gameplay! 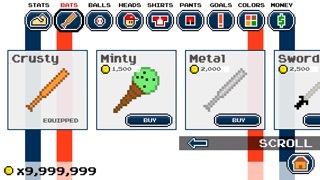 -Unlock over 50 unique items to customize your character! 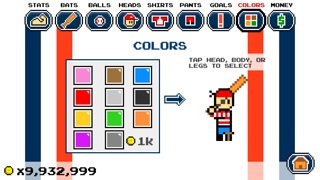 -Personalize your character by changing clothing colors! -Choose your favorite head, body, and legs- mix and match! -Upgrade your character for more powerful swings! -Complete goals to earn more coins! 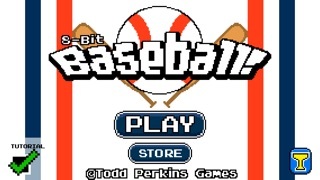 -Compete with Friends via Game Center Achievements and Leaderboards!